Unroasted coffee in Jamaica's signature wood barrels arrived mid November, new 2018 crop. Just in time for your holiday gift giving and personal enjoyment. This is something you won't see everyday - a micro-lot from the Blue Mountain's Clifton Mount Estate called Juniper Peak. Thanks to our direct relationship with Jason and Richard Sharp of Clifton Mount they have sent us very special coffee that had not been available to the US market until they began to provide it to us some years ago. At the moment, we are the only distributor of this micro-lot! Juniper Peak is a micro-lot from the highest areas of the Clifton Mount Coffee estate in Jamaica Blue Mountain. At about 4300 feet above sea level, the Juniper Peak area is made up of 15 acres of land which is surrounded by Juniper Cedar trees that shade the coffee plants and give the plot of farm its name. Of the entire crop, Juniper Peak comprises a mere 2% of the coffee. The owners of the farm then meticulously cup the coffee to determine what represents the best grade for micro-lot classification. The cup, as described by the farm owners, is wonderfully aromatic, superbly balanced, with rich hints of chocolate and a sublime sweet lingering finish. The unroasted beans are a vibrant blue color indicative of the high quality and extreme care taken to harvest such a special coffee. 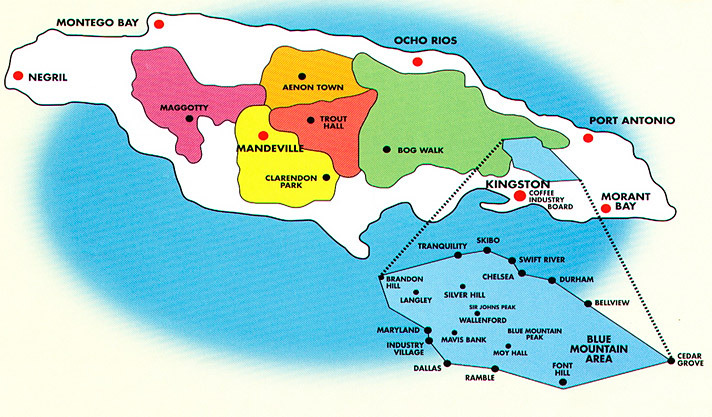 Jamaica Blue Mountain is an appellation, much like the French have done with their prized wine regions. In order to be called Jamaica Blue Mountain the coffee must come from the parishes of Portland, St Andrew, St. Mary or St Thomas which are in eastern part of the island. Jamaica's Blue Mountain coffee has long held a reputation as being one of the world's best coffees and this particular lot showcases just how special it is. This entire area is quite small as a growing region, only about 15,000 acres in its entirety. Roughly 85% of the tiny production is exported to Japan. Clifton Mount coffee plantation began production in the early to mid 18th century and land records suggest coffee growing there in 1810 making it the oldest functioning coffee estate in Jamaica. For nearly 40 years it has been owned by the Sharp family who have modernized processing with an eye toward ecology and environment. Clifton Mount is the only coffee plantation in the Blue Mountains to be Rainforest Alliance certified, attesting to their land management practices. Jamaica's Blue Mountain coffee has long held a reputation as being one of the world's best coffees and certainly one of its most expensive; whether deserving or not is of much conjecture. Perhaps twenty five or more years ago this may have been true, but today, with artisanal crops being grown in several parts of the world, it is certainly not alone. In September 1988 Hurricane Gilbert wreaked havoc on Jamaica, its people and its coffee industry, destroying 70 percent of the trees there. The hurricane, one of the most intense ever recorded, became a category 5 storm as it passed over the island. Winds were in excess of 155 mph and the mountains had 27 inches of rainfall. That singular weather event essentially ended quality coffee production which took nearly two decades to fully recover. All growing and processing is done on the plantation. The estate's wetmill was designed to minimize water usage. Cup Characteristics: Classic Jamaica Blue cup. Smooth, sweet and very clean. Full body, very well balanced, delicate. Signature, naturally smoky note with flavors of chocolate and honey. Floral, hint of rosewater, mildly acidic. Long, dry white wine finish. Roasting Notes: We found roasting this coffee to at least City+, approaching, but not expanding into second crack, brought out the velvety mouthfeel. If roasting on a Behmor, you might like P2, B as a suggestion. 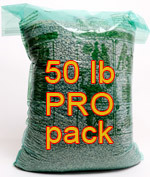 Coffee Production: 40,000 bags (60 kg), one of the smallest in the world. 85% goes to Japan, 5%USA, 5% Europe, 5% all other countries. Regulation: All coffee production is licensed by the Coffee Board of Jamaica. Employs: 90,000 persons including 9,500 registered farmers. Area of coffee cultivation: 28,000 acres of which Blue Mountain is 9,000. Harvests: June - July in the Blue Mountains. Arabica Introduced: Introduced in the early 18th century. First coffee dates to 1728. Specialty Coffee Regions: Chamchamayo Valley in the center of the country. Grades: 1 (screen 17/18 with least defects), 2, 3, PB, other lesser grades. Botanical Varietals: Typica, almost exclusively. One of the world's best and most expensive coffees. But, the country has been beset with harsh hurricanes about once each seven years that generally inflict crop damage. 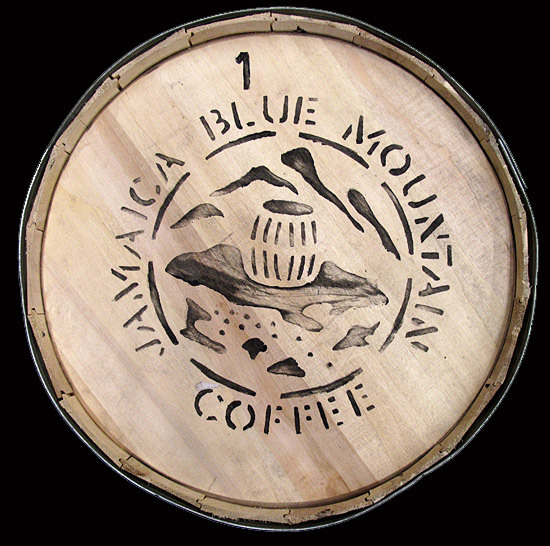 The Coffee Industry Board of Jamaica has protected the designated Blue Mountain trademark and its appellation since 1953, to insure that quality standards are upheld and that coffee sold under its name is certified and not counterfeit. When everything lines up, JBM is a world class coffee.